KINSHASA, DRC, October 31, 2014/African Press Organization (APO)/ -- The organizers of the Conference of Ministers of ECCAS (http://www.ceeac-eccas.org) on the Fund for the Green Economy in Central Africa and the structural transformation of the economy of natural resources announced today that the ministers from the region have adopted a text establishing the Fund for the Green Economy in Central Africa. At the opening of the conference, the Vice Prime Minister of Defense and Veterans of the Democratic Republic of Congo (DRC), Mr. Tambo Loaba, announced a $3 million contribution from his country to start the Fund for the Green Economy in Central Africa (FEVAC). “Concerning the financing of FEVAC, the Democratic Republic of Congo supports its creation and commits $3 million for its establishment beginning in 2015,” said Mr. Loaba in his address. This decision marks a first giant step toward the effective initiation of a global restructuring of the Central African economy, based on the natural resource economy and the timber industry in particular. “Today, for the first time, Central Africa has placed the environment within the core economic structure of the countries in the region,” emphasized Dr. Honoré Tabuna, Biodiversity Valuation and Environmental Economics expert and the conference coordinator. “We are finally reaching the final stages and practical implementation of a process that began in Rio in 1992. We must now talk about the economy in order to establish a new balance of sustainable development based on a green economy in Central Africa,” he added. Held from October 27–30 in Kinshasa, the conference brought together the Central African Ministers of Finance, Foreign Affairs, and Forestry as well as several experts in green economy and the timber industry. It was hosted by the ECCAS as part of the Program for the Management of Vulnerable Ecosystems in Central Africa (under ECOFAC), the result of a joint effort with the European Union, which provides financial support within the framework of the EU Forest Law Enforcement, Governance and Trade (FLEGT) Action Plan. Today, the timber industry serves as an example, showing the true decision makers in the countries of Central Africa that a shift toward a green economy represents a positive economic turn for the region's economy as a whole. The joint presence of the Ministers of Forestry and Finance of Central African countries provides a new opportunity to demonstrate that the green economy is not simply a concern for environmental experts, but also for the economists of each government. It's key to note that the move of major regional actors to create a new “motor” for the green economy provides support to countries combating illegal logging while also encouraging good forest governance. This important movement for the green economy, which depends on the progressive commitment of the Ministers of Finance, will bring regional changes and attract investments to help the countries working with the FLEGT and which have signed voluntary agreements with the EU. The Voluntary Partnership Agreements (VPAs) are bilateral trade agreements between the EU and a timber-exporting country. The VPA is underpinned by the development and implementation of a timber licensing scheme by the partner country. All of the lumber exported to the EU must abide by the regulations of this scheme. Moreover, each EU country is responsible for keeping unauthorized lumber out of the market. “The objective is to give a greater voice to the Ministers of the Environment who, thus far, have received only a small share of the budget, far less than the Ministers of Commerce or Energy who benefit from revenue generated by their activities. We must show that natural resources are much more lucrative,” said Aimé Nianogo, IUCN Regional Director for West Africa. Indeed, timber- and forestry-related issues lie naturally at the heart of the implementation of the Green Economy System in Central Africa: the timber industry, which has long represented a gateway to international markets, is currently benefiting from major advances provided by market regulation programs, such as the EU Timber Regulation, but also the Lacey Act in the United States and the Australian Illegal Logging Prohibition Act. These regulations and agreements, like those of the FLEGT, open new, more reliable, and better-regulated markets, the revenues of which can be better distributed thanks to improved governance. Indeed, changing the economic system to allow for the development of the green economy requires fundamental governmental restructuring. “That is one of the major obstacles that still risks hindering the best intentions and positions of even the most sincere decision makers,” said Aimé Nianogo. The Ministers of Forestry also had the opportunity to convince their own Ministers of Finance of the importance of paying attention to issues relating to the timber industry and its development. Clearly, these are not simply national but also regional concerns, as regional Ministers of Forestry met to discuss these issues with Ministers of Finance. One of the major objectives for Central African countries is primarily to change an economic model that broadly relies on subsoil natural resources: minerals, oil, and gas. These resources provide the region with significantly positive growth, at nearly 6%, but this growth does not benefit the entire population. Indeed, some regions are afflicted by a poverty rate of up to 70%. “Our studies show that the timber industry could weigh 3% to 8% in the largest economies in the region and would generate a large number of jobs, which is a major concern for several countries in the region,” Nianogo said. The conference provides the opportunity to vote on several projects meant to build a foundation for the green economy system to be financed by the new Fund for the Green Economy. These projects fulfill regional objectives for the development of the natural resource economy in a framework that corresponds to the objectives and recommendations established over the past twenty years by the Rio and Rio+20 conferences. They allow for the development of local, national, regional, and international economic circuits that create job opportunities for populations that have been excluded up until now. The text adopted at Kinshasa will be presented at the conference to be held in N'djamena, Chad, where the Heads of State will be able to express their commitment to the precise and concrete measures it contains. 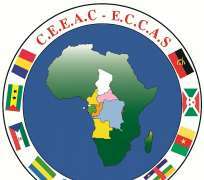 Distributed by APO (African Press Organization) on behalf of the Economic Community of Central African States (ECCAS).